Thinking Pinoy: What did Chito Gascon do? What did Chito Gascon do? This is the continuation of “Who is CHR Chair Chito Gascon? [Part 1 of 2]”. NOTE: This article was originally published in August 2016, but I decided to re-publish it in light of recent events. Jose Luis Martin “Chito” Gascon arrived onto the national stage in 1986. Then the chairman of the University of the Philippines Student Council, he was among the first to heed the call of Cardinal Sin’s call to join the First EDSA Revolution [PCIJ]. Gascon was the youngest member of the 1986 Constitutional Commission that drafted the 1987 Constitution. Four years later, Congress named him as youth sector representative, giving him a direct hand in crafting the country’s laws [PCIJ]. For much of the 1990s and 2000s, I didn’t see anything controversial or blatantly questionable about him. He graduated from the University of the Philippines College of Law in 1996, and received a Master’s in International Law from Cambridge University in London a year later [LinkedIn]. Then I stumbled upon 2009. Jose Luis Martin “Chito” Gascon became the Liberal Party’s (LP’s) Director-General in 2009. He openly supported then-Senator Noynoy Aquino’s bid for the presidency. “I can’t give any indication on whether he would announce his presidential bid. I only have hopes and dreams that he would do so tomorrow,” Gascon said, after being asked whether the senator will finally announce his presidential candicacy [GMA]. Aquino eventually won the presidency in 2010, but not without controversy. In May 2010, authorities were poised to investigate Quezon Governor and LP Treasurer Rafael Nantes for the discovery of drug transshipments and manufacturing base on Quezon’s Icolong Island [Balita], suggesting that drug money may be have been used to fund the 2010 LP campaign. Unfortunately for Nantes and luckily (?) for LP, Nantes died in a chopper crash a week after the announcement [TVPatrol]. The Nantes Issue happened during Gascon’s term as the Party’s Director-General. That is, Gascon was LP Director General from 2008-2011 and was the Political Director of its successful 2010 National Electoral Campaign [Liberal]. Yes, Gascon helped run the 2010 LP campaign with an alleged druggist as its treasurer. Gascon stepped down from LP leadership in 2011 and was appointed Undersecretary within the Office of Political Affairs (OPA) by President Aquino (PNoy) [Star]. There isn’t much to be said about his performance in the OPA: he was one of the members of the Peace Panel [OPAPP] that attempted to forward the Bangsamoro Basic Law (BBL). Of course, we all know that the Liberal Party-dominated Congress allowed that bill to die a natural death [Star], as the draft bill purportedly violated the constitution [ABS], the same bill that was drafted with Gascon’s help. Gascon stepped down four years later to be appointed Chairman of the Commission on Human Rights in June 2015 [Star]. Here is where things start to get really interesting. In “Who is CHR Chair Chito Gascon? [Part 1 of 2]”, I explained that while de Lima reasonably succeeded to prove that extrajudicial killings exist, she failed to prove the crucial element of extrajudicial killings being systematically sanctioned by the national government. Why is this element crucial? Because it is the reason behind this whole media circus to begin with. Did any of the witnesses say Duterte himself ordered it? No. Did any of the testimonies or evidences show Duterte himself tolerated extrajudicial killings? No. But then, the failure to link these extrajudicial killings to Duterte is nothing new. In early 2009, then CHR Chair Leila de Lima launched an inquiry into the existence of the Davao Death Squad, with Duterte as her prime suspect [Preda; Mindanews]. By September 2009, de Lima still wasn’t able to find conclusive evidence proving the existence of the vigilante group Davao Death Squad (DDS), let alone Duterte’s complicity, and the probe eventually died a natural death [Inq]. In 2012, CHR chairperson Loretta Rosales said the commission wants the Ombudsman to investigate Duterte, based on the results of the previous probe that the commission conducted on the alleged presence and operations of the DDS [TV5], still no conclusive evidence. As of May 2015, no DDS-related cases were ever filed against Duterte. An exasperated Duterte said, “If she (de Lima) files a case, I’ll waive the preliminary investigation, but she has to execute an affidavit because I’m going to question her,” he said [Inq]. Yes, six years of investigations and nonstop allegations and not a single case was filed for lack of probable cause. On 28 June 2015, LP said it hopes to Duterte will back Mar after Duterte shelved his own presidential bid [GMA], with Roxas “casually visiting” Duterte twice in a span of two weeks [Inq], and we all know how that ended up. On 07 December 2015, Duterte declined all VP offers and declared his candidacy via a technicality [ABS]. On 11 December 2015, five days after Duterte filed his candidacy, the CHR announced that it will, for the third time, probe Duterte’s alleged rights abuses [GMA], with Gascon on the lead [CNN]. On 13 December 2015, Aquino and LP-led Malacañang publicly backed CHR’s probe [Star]. The timing of the CHR probe reeks of the stench of politicking. But I admit that it's too early to say that at this point, so let's investigate a little bit more. On 11 March 2016, rumors surfaced that the CHR was readying charges against Duterte for his alleged involvement in extrajudicial killings in Davao City [Star]. CHR did not press charges, essentially showing that the new round of investigations failed to yield significant results. Seven fruitless years since the 2009 investigation and CHR found nothing significant enough to build a case against Duterte, yet the CHR and de Lima continue to hound Duterte with allegations. Duterte never begged for mercy and he did not even block these investigation attempts, yet CHR still failed to indict Duterte. Why? CHR found no evidence linking him to these deaths. Because if there were, Roxas and de Lima would have been drooling like mad dogs. It’s August 2016, three months have passed since then, and we are faced with yet another investigation. Judging from Gascon’s insistence on the International Criminal Court angle [Star] despite the lack of evidence, the CHR has pretty much pre-judged Duterte. Is CHR violating Duterte’s civil and political rights by doing so? But CHR’s mandate is protect citizens’ civil and political rights, right? With these said, it is clear that the CHR, for seven years, has focused its resources on a crusade against Duterte, despite the chronic lack of evidence which, by the way, is the exact same thing that the CHR is required to produce. Should the CHR focus on allegations that actually have evidence to back them up? What’s confusing for me is CHR’s silence on another, more gruesome, extrajudicial killing case that, unlike the Duterte issue, provides a wealth of evidence. Police and army units killed at least seven protesting farmers [MS] and injured hundreds [Int’list]. More deaths followed in the succeeding years [GMA]. A decade later in 2014 and before Gascon became CHR head, CHR Commissioner Atty. Norberto dela Cruz and Region III Director Atty. Jasmin Navarro Regino confirmed various reports of grave rights violations in Hacienda Luisita during its field investigation held on April 29, 2014 [LuisitaWatch]. Despite these findings, nobody has been arrested as of April 2016 [DavaoToday]. I googled for news articles between 01 June 2015 to 26 August 2016 using the keyword “Gascon Luisita” [Google]. Google returned eight news articles, and none of them directly concerning Hacienda Luisita. Over a year into Gascon’s CHR chairmanship, Gascon has not done anything to resolve the human rights violations in Hacienda Luisita. I was not even looking for cases filed against the Hacienda’s owners: even a reminder of an ongoing investigation will do. But no, there weren’t any. No pronouncements from Gascon, despite the CHR’s 2014 confirmation that grave rights violations were committed. The massacre is just a small part of the decades-long struggle of Luisita farmers for their rights over Luisita land per the Comprehensive Land Reform Program in 1988 [L.A.Indymedia]. Using legal sorcery, the Cojuangcos held on to the land up to this day. Duterte tolerates abuses of law enforcement officers. Now, sauce for the gander is sauce for the goose, so let's apply the same standards on PNoy vis-a-vis the Hacienda Luisita issue. On the Hacienda Luisita issue, the second condition holds. PNoy stance on the Luisita issue was clear as he and his ally, losing 2016 LP presidential bet Mar Roxas, defended the injustices against the Luisita farmers. A few days before the 2010 Presidential elections, ABS-CBN published a list of alibis from PNoy, Roxas, and Hacienda Luisita spokesmen, suggesting that the Cojuangco Family’s wealth depends on the Noynoy presidency [ABS]. Despite PNoy’s stance, the Supreme Court sided with the farmers. While the decision was unanimous, one Supreme Court justice agreed with Hacienda Luisita Incorporated’s appeal that the 2006 valuation be used instead. That justice’s opinion, of course, was not adopted [Inq]. Who was that justice who sided with Cojuangcos? Maria Lourdes Sereno [Inq]. A month later, Chief Justice Renato Corona was impeached [Inq], with PNoy’s Malacañang allegedly bribing senators P50 million each to vote against him [GMA]. Who replaced Corona? Maria Lourdes Sereno [ABS]. The Supreme Court’s decision was final and executory, and it was up to Aquino’s Department of Agrarian Reform to implement the court order. Through corporate-legal mumbo-jumbo, reclaimed ownership of the 6,453-hectare Hacienda Luisita, reducing the farmer-beneficiaries who were supposed to own the land under the agrarian reform program to sakadas or plantation workers [MS], instead of making them bonafide landowners under the Agrarian Reform Program. As of yesterday, or almost 30 years after CARP’s launch and four years after the 2012 SC decision, the farmers still do not own the lands they till [Inq]. Question: Did Chito Gascon’s CHR do anything about it? On the Luisita Issue, the Aquino Administration clearly tolerated Hacienda Luisita Incorporated’s excesses to the detriment of poor Tarlaceño farmers. A countless number of articles, investigations, testimonials, admissions and other pieces of evidence say so. Despite the preponderance of evidence, however, Gascon’s CHR deems the Luisita issue a non-priority. On the Duterte Issue, the sequence of events in the previous sections clearly show the lack of evidence to pin down Duterte. An investigation in 2009, another in 2012, another in 2015, and another in 2016, all failed to produce sufficient evidence. Despite this, Gascon’s CHR has been going after Duterte for seven years and running. Being its former director general and campaign director, Gascon has extremely close ties with the Liberal Party, and the Liberal Party’s head was PNoy, who also happens to be the poster boy of the Cojuangco Family, the “owners” of Hacienda Luisita. Meanwhile, Duterte has become the Liberal Party’s archnemesis since he declared his candidacy. Duterte’s trademark in the past couple of months is his war on drugs. 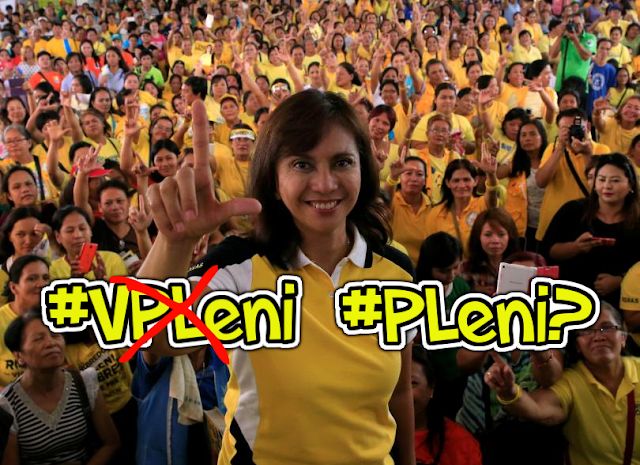 Unfortunately for LP, this will hurt, as many of its members and its appointees have been implicated in the drug trade [TP: Ronnie; TP: Robredo; TP: Mayors]. Interestingly, the Duterte Administration made peasant rights activist Rafael Mariano DAR Secretary. His first order as DAR Sec? Distribution of Hacienda Luisita land [Star/Yahoo]. Now, what would happen if Gascon somehow succeeds to remove Duterte from Malacañang?